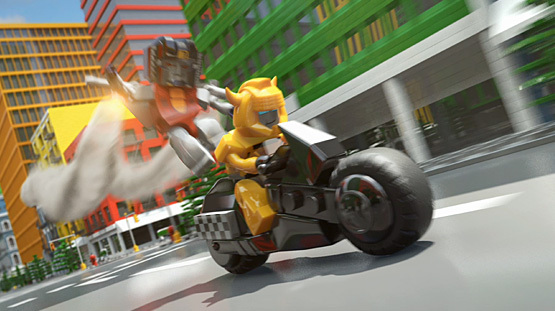 When you are being chased through Kreo City by Decepticons with evil on their minds, do you stop to ask directions to the front door? Hell No! You drive your bike straight through the wall. Well, you do if you are Bumblebee!